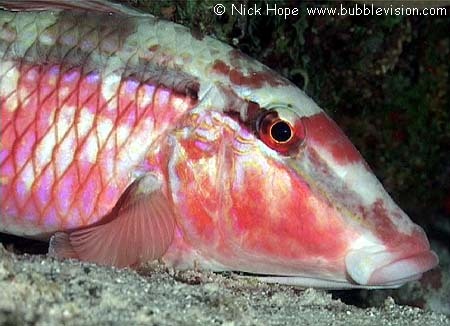 By night the dash-and-dot goatfish (Parupeneus barberinus) adopts a pink mottled coloration and its dark "dash" fades. Note the two barbels folded back behind the mouth. During the day they are used to find prey in or on the substrate.